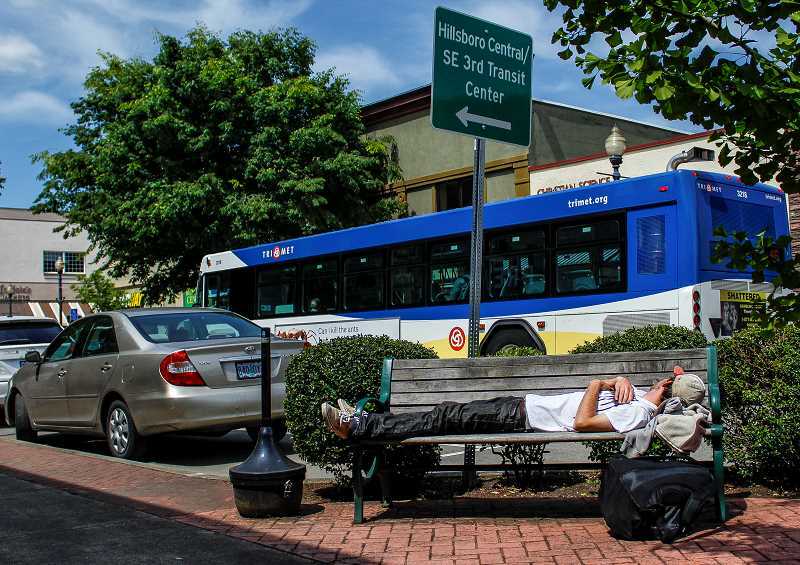 HILLSBORO TRIBUNE PHOTO: TRAVIS LOOSE – A homeless man sleeps on the bench in front of Premier Community Bank in downtown Hillsboro. Residents and business owners are encouraged to give out the lime-green Community Connect contact card to any person found panhandling or sleeping on the street. Tom doesn’t want to panhandle, but he’s out of choices. For a few hours every week, after filling out job applications from his home computer, he routinely stands near either entrance to the Safeway in Forest Grove with his cardboard sign and asks for help. The 12th annual Latino Cultural Festival drew thousands of people to downtown Hillsboro Sunday. 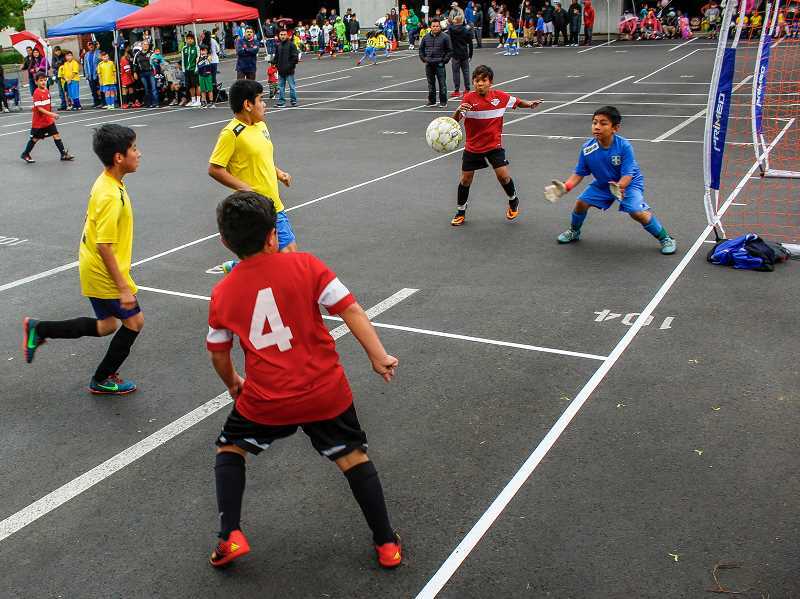 Music, food, futsal and dancing underscored an all-day event that attracted nearly 100 vendors — more than any previous year, according to Hillsboro Chamber of Commerce Director of Special Events Cindy Crowder. NEWS-TIMES PHOTO: TRAVIS LOOSE – For 13 years, this home on 19th Place has housed the Forest Grove Recovery Club, a safe haven for people struggling with addiction, which one member calls a powerful and baffling disease. At 2722 19th Pl. in Forest Grove, there sits an algae-covered house. Inside, near a gash in the ceiling paint, a damaged chandelier dangles awkwardly — two of its four lights burned out. Several other light fixtures, switch panels and outlets have no covers. Missing chunks of drywall expose wooden beams. Water drips into the kitchen and pools on countertops when it rains. Single-paned windows have been sealed shut to improve insulation, but their framing is gone, so it hardly helps. 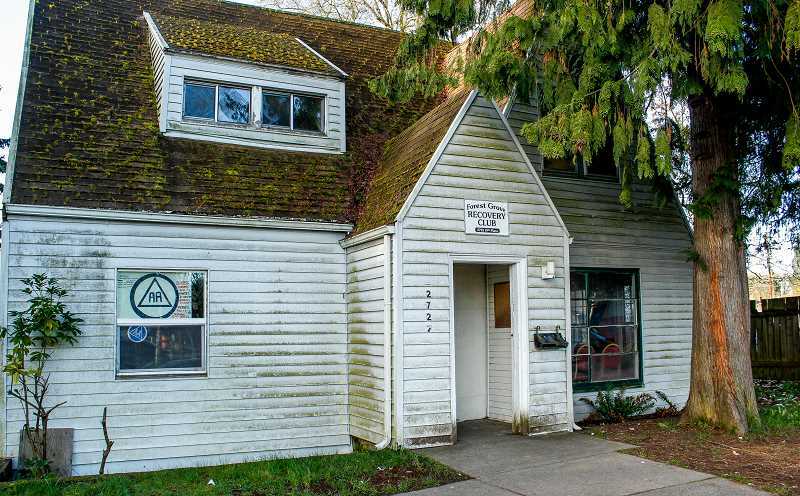 This is the home of the Forest Grove Recovery Club (FGRC), a nonprofit that provides a safe place for recovering addicts to meet and talk about their lives, their addictions and their hopes for the future. For 13 years, the building has served as a safe haven for everyone from homeless people to doctors and lawyers who all have one thing in common: the determination to rebuild their ruined lives and to help others trying to do the same thing. 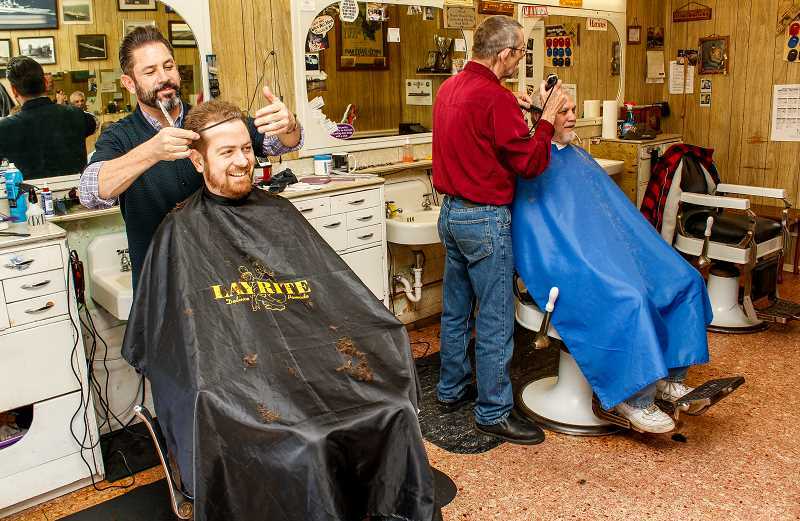 For many men, a visit to a proper barber offers more than just a cheap haircut. Within the confines of an old-fashioned barbershop, a man can let loose and run his mouth a little. He can talk about family and work life without worrying who hears him. He can share self-deprecating stories from his past, gripe about his future or tell jokes that would never be appropriate anywhere else. Unsurprisingly, these relics of a bygone time — where red, white and blue barber poles turn outside to attract clients inside — are fading. 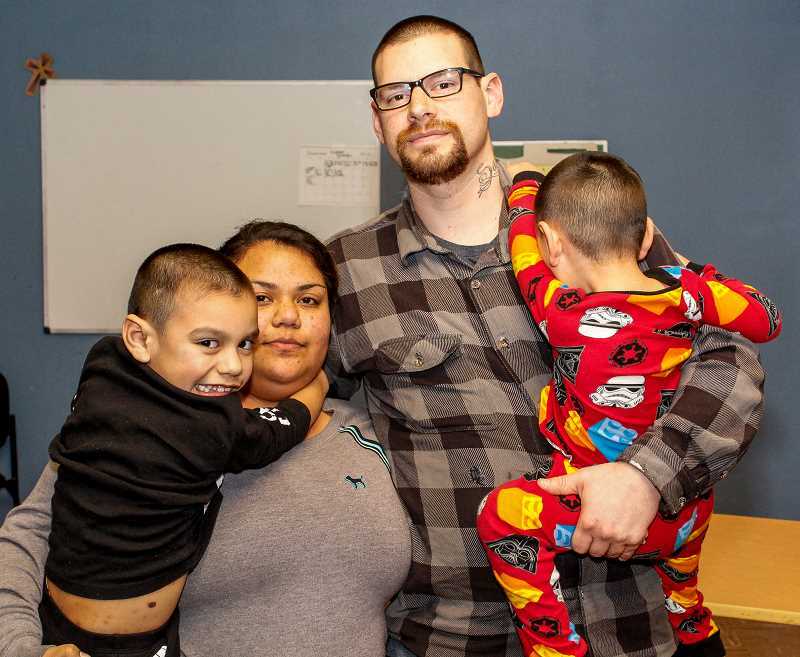 NEWS-TIMES PHOTOS: TRAVIS LOOSE – Ruben Serna, his wife, Sasha, and their two young sons, Bentley and Ruben Jr., were living out of their car in Cornelius until two church shelters in Forest Grove offered them a warm place to sleep for three nights a week. Now those shelters have closed for the season. Four nights a week, the Honda Accord sat in a darkened corner of the Cornelius Walmart parking lot, its windows fogged from the breath of four people sleeping inside. Ruben Serna, his wife Sasha and their two young sons, Bentley and Ruben Jr., are homeless, and see no likelihood of that changing anytime soon. While the big news story is how Doug died, his family is collecting thoughts and memories from those who knew him to show how Doug lived. A memorial site for his passenger, Matthew Albrecht, can be found here. We all loved Doug very much. He is going to be greatly missed. A service will be held at 11 a.m. Saturday at the Dayspring Fellowship in Keizer, Ore. The public is welcomed. HILLSBORO TRIBUNE PHOTO: TRAVIS LOOSE – (clockwise from bottom left) City Manager Michael Brown and Hillsboro Hops General Manager K.L. 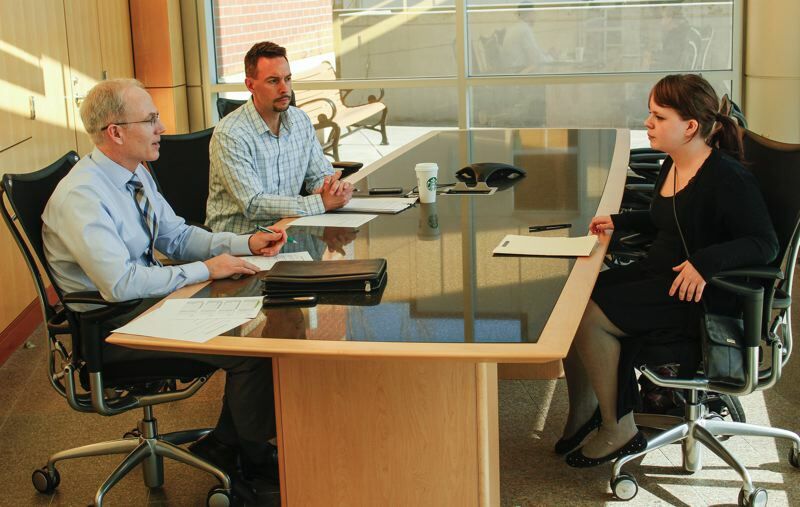 Wombacher interview Miller-West senior Sam Denniston during Interviewniversity at the Civic Center Feb. 25. If Sam Denniston was nervous, she didn’t show it. Seated before Hillsboro City Manager Michael Brown and Hillsboro Hops General Manager K.L. Wombacher, Denniston answered questions about her strengths and weaknesses, and about her dreams for the future. “Where do you see yourself in five years?” Brown asked. “When you think of any dream job you could have, what comes to mind?” followed Wombacher. 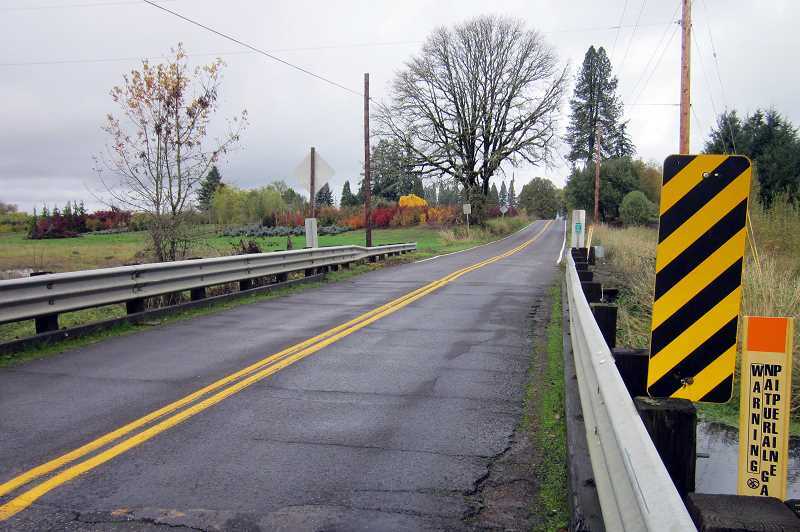 COURTESY PHOTO – The Porter Road bridge north of Forest Grove is more than twice as old as its original life expectancy. It’s being replaced this summer. Two years ago, plans to replace the Porter Road Bridge to the north of Forest Grove were at the bottom of Washington County’s maintenance priority list. Following a recent inspection, the Department of Land Use & Transportation recommended the county’s Board of Commissioners move that project up the list and fast-track the bridge replacement project — which will now begin this summer. 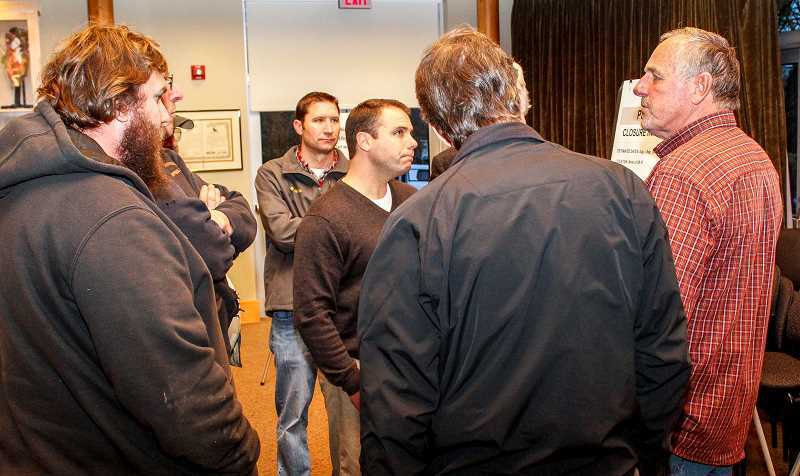 An open house last week provided information on the project. Built from timber in 1950, the current Porter Road Bridge has seen several patch jobs to keep it standing despite an original life expectancy of only 30 years. NEWS-TIMES PHOTO: TRAVIS LOOSE – Lyle Spiesschaert (far right) and other farmers ask about the potential for losing access to their farmlands and for their farm vehicles to destroy new sidewalks on the David Hill Road extension. County staff explained that only David Hill’s south side will have sidewalks, giving farm vehicles the room they need, and that access roads to farmlands will still be available to the north. Between 2007 and 2014, three people died at the Verboort Road and Highway 47 intersection just north of Forest Grove. After two Pacific University freshmen died in an April 2014 crash, 85 people gathered in Forest Grove’s community auditorium to tell a lineup of government officials that the unsafe intersection needed to change.